Private health insurance consumers are set to be the big winners with private hospitals, specialists and healthcare providers across New Zealand joining our new First Choice network in a bid to reduce huge health care bills. Launched today, the First Choice network features recognised providers that provide nib customers with services and treatment within the First Choice price range. This means customers have 100% of their approved costs covered (up to their benefit limit). The network comes after we revealed huge surgery cost differences across New Zealand, with Kiwis paying thousands of dollars more for surgical procedures depending on where they live. Our Chief Executive Officer, Rob Hennin said it was great to see the health industry coming together to deliver real value for consumers by tackling these large cost variations and in turn helping consumers to access and afford world class healthcare. “It’s a great show of co-operation to have major hospital groups including Southern Cross Hospitals, Mercy Ascot Group, Acurity Health Group, Grace Hospital, Anglesea Hospital, St George’s Hospital and Mercy Hospital Dunedin working with us as part of First Choice,” Mr Hennin said. “Plus the network includes over 2,000 medical specialists and healthcare providers across New Zealand representing more than 90% of providers in the country which means our customers will be able to access first class health care wherever they live. “Importantly, customers will still be able to choose any nib registered medical professional from around the country. However, by selecting a First Choice network provider, they are guaranteed to have 100% of their approved costs covered,” he added. The First Choice network reflects nib’s commitment to making health insurance easy to understand, simple to use and most of all good value for customers. “Since we entered the New Zealand market five years ago, we’ve worked hard to deliver a number of innovative initiatives for people seeking greater flexibility and affordability from their health insurance,” Mr Hennin said. “The First Choice network does exactly that - improving the value customers get from their health cover by allowing us to better manage claims costs and keep premiums affordable,” he said. One of the nation’s largest networks of medical professionals, the First Choice network focuses on the key health services customers want and use. 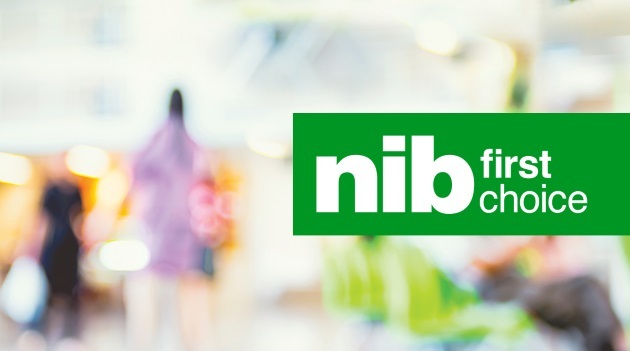 It will continue to grow as more hospital groups and providers join nib in our mission to deliver affordable healthcare for all Kiwis. “We are continuing to work with all out-of-network providers to encourage them to join the First Choice network by agreeing to charge in line with our First Choice price range,” Mr Hennin said.